I have some photos of J.A. 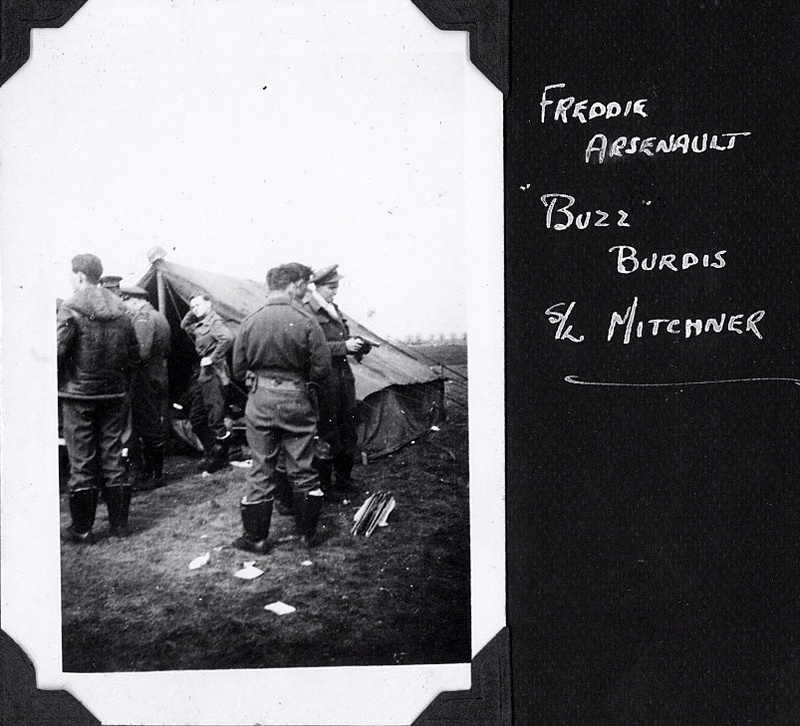 Arsenault, my late father, including one taken shortly after the mid-air formation collision of September 1945. I also have a photo of Dad in his flight suit. Additionally, I have a photo of the page in my father’s log with the signature of H.R. Finley, certifying medals earned. I would be happy to share. In December 2011 I had written this. This is the two group pictures I posted some time ago. These pictures where taken in March 1945. I am trying to put some of the names with the right faces. What I like about Greg’s grandfather is his sense of humour. Buzz is on the right. I wrote about him so his story would be told and he would forever be remembered. Gil Gillis from Pense, Saskatchewan, is wearing the German helmet. I can’t find him anywhere on the Internet except on my blog about 403 Squadron. J.B. Lemay has never turned his back on a souvenir — most timely of all, a bit of aging paper, torn from a Teletype machine 70 years ago. The walls of the 91-year-old Second World War veteran’s dining room are covered in knick-knacks, including stuffed unicorns, commemorative beer bottles, plates and glass birds. They are all surrounded with fairy lights amidst an array of technological odds and ends, from rotary-dial phones and VHS tapes to a brand new digital camera and widescreen laptop. He keeps his real treasures out of sight. Those include old British newspapers featuring him on the front page, a liberated official portrait of German airforce commander Hermann Goring, a mint-condition Hitler Youth uniform with medals, the watch of a German soldier he took prisoner and autographs of Joe DiMaggio, Babe Ruth and President Eisenhower. There’s a story behind each one, and even a great tale about the time he gave Princess Beatrix of the Netherlands (just three years old at the time) a ride around Vanier on the handlebars of his bicycle. But that aging piece of paper is really special. 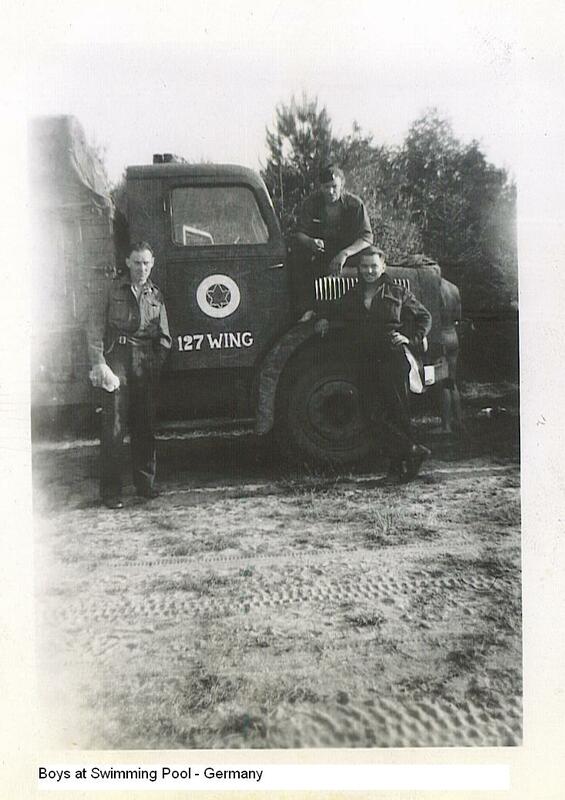 It was May 4, 1945 and Lemay was with his Air Force squadron in Reinsehlen, Germany — not far from Hamburg. He’d been overseas fighting the Germans since October 1942, having signed up on his 18th birthday — Aug. 25, 1941 — all 104 pounds of him. He remembers that fateful May evening in 1945 like it was yesterday. 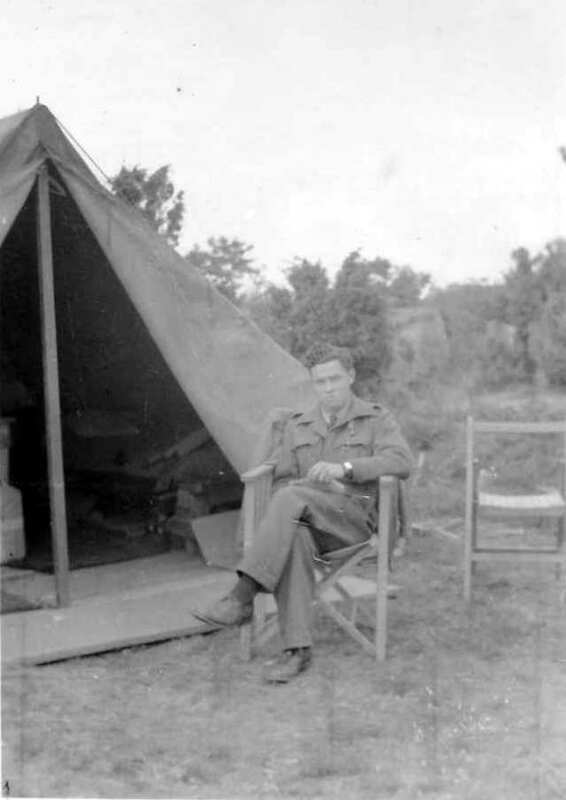 Around 7:30 p.m., he was sitting on a canvas folding chair in front of his tent — next to the communications trailer, a German soldier’s helmet perched on a stick in the ground behind him, marking one of many places they buried the enemy. Lemay ran into the trailer and the operator tore the paper out. 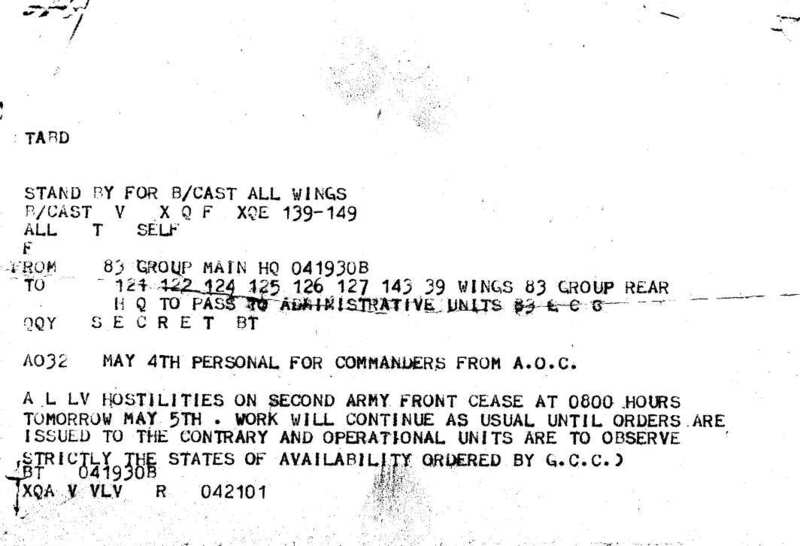 It read: ALL HOSTILITIES ON SECOND ARMY FRONT CEASE AT 0800 HOURS TOMORROW MAY 5TH. Lemay keeps the bit of aging paper safely stored among hundreds of photos and documents, in clear plastic folders in the east-end home he’s shared with his wife for 48 years. He and Raymonde will celebrate their 69th wedding anniversary this fall. Thursday he will proudly help commemorate the anniversary of that bit of paper, as an invited guest to Parliament Hill where he will help recite In Flanders Fields. My dad’s war pictures went missing for a number of years. I had no pictures of my dad from the war. In 2011 I contacted my dad’s only surviving brother, Tom, in Kenora, Ontario and asked him if he had any pictures. 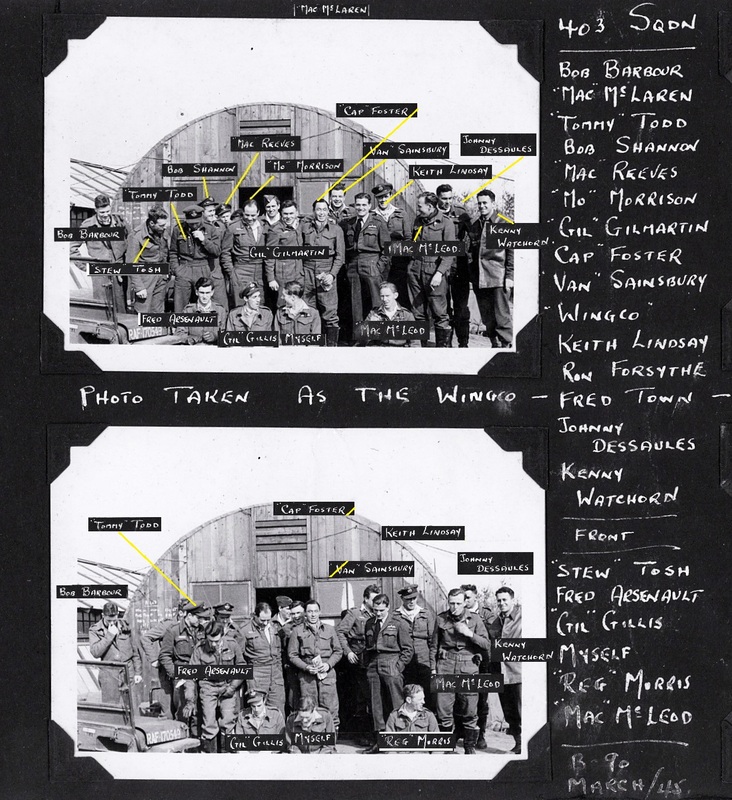 He didn’t have any, but he obtained this picture from a local veteran, Edgar “Dink” Strain who had a wartime photo of my dad and three other Kenora vets onboard the New Amsterdam in August 1945. 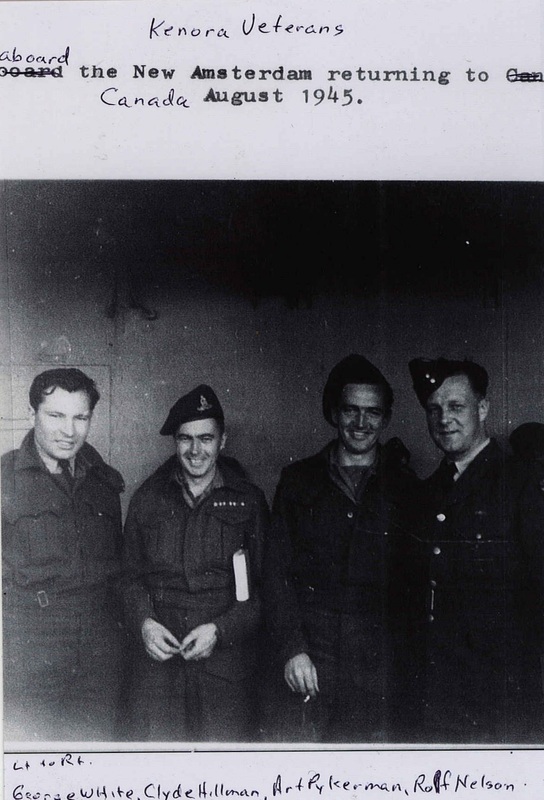 (L to R) My dad George White, Clyde Hillman, Art Pykerman and Rolf Nelson. I talked to Edgar Strain on the phone a few times. 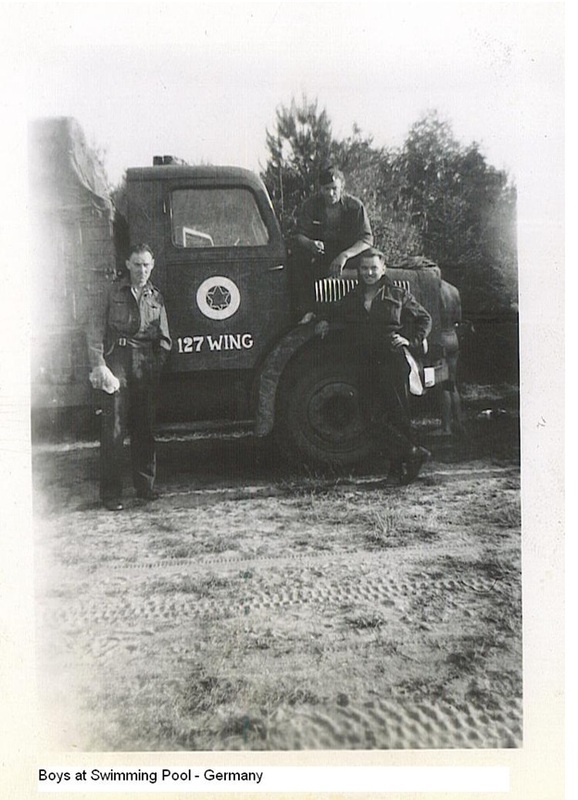 He had been a Warrant Officer with 421 Lynx Squadron during the war. He was a very gracious gentleman and a very keen military historian with a tremendous amount of knowledge about the war. When I talked with my uncle Tom, on Thanksgiving Day 2012, he told me Edgar had passed away. 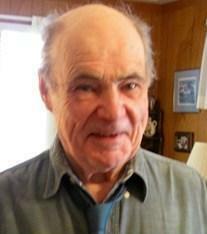 Edgar Wilson Strain passed away at his home on Friday July 13, 2012, at 90 years of age. Edgar is survived by his sons Lindsay (Dorothy) and Gregg (Mary) and daughter Megan; granddaughters Larisa (Guy) and Siobhan; sister Lois Hoshwa; sisters -in-law Shirley Strain and Josie Strain. He was predeceased by his wife Isabella, parents Edgar and Eva, his sister Thomasina, brothers Neil and Lorne and brothers-in-law Nick Hoshwa and Ted Jorgenson. Edgar was born in Kenora. 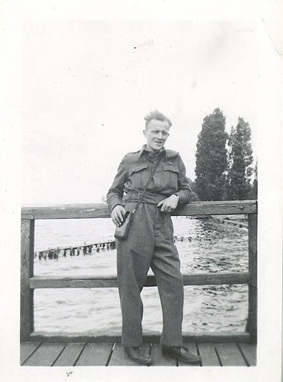 He volunteered for service in the RCAF during WWII and served in Canada, England and throughout Europe. When he returned he married the love of his life, Isabella, and started a family. He worked at Williams Hardware for ten years and then founded Strain’s Stationery, later partnering with his brother Neil in the business until his retirement in 1987. He was very involved in the community and his contributions of service and community development included work on the Kenora Thistle Hockey Team Board, serving as a trustee for the Kenora School Board, work on the Kenora Minor Hockey Association, board membership on the Central Community Club, the Kenora Economic Development Committee, a co-chair of the building committee for the original Kenora Recreation Centre and a field agent for Ducks Unlimited. He helped many other community groups and charities. 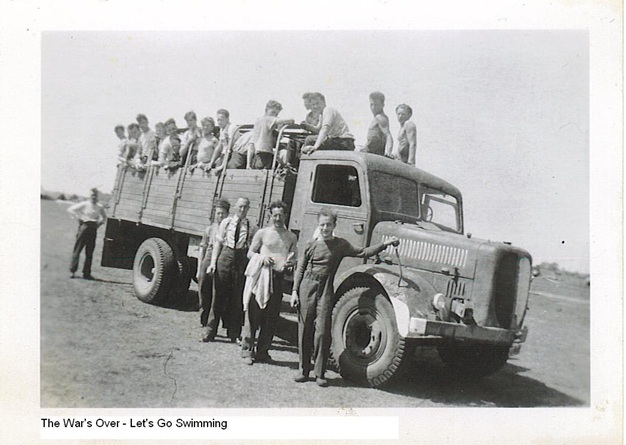 After his retirement, he followed his many interests which included sculpture, nature, gardening, architecture, the family camp, woodworking, reading, music and genealogy. He pursued these interests with passion, intellect and humour. His stories were enjoyed by family and friends. His wealth of knowledge will be missed. His ideas and actions influenced and inspired many. Immediate cremation has taken place. A private family service will follow at a later date. In lieu of flowers, contributions of time or donations to a local charity of one’s choice would honour his life and service. 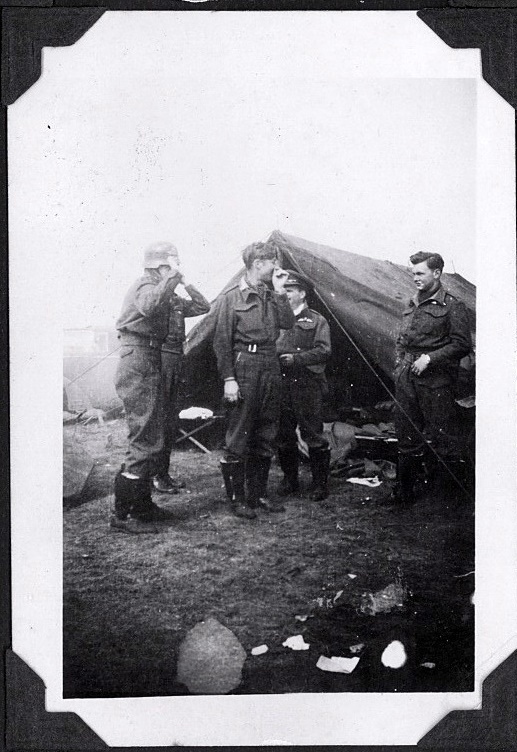 Thank you Edgar for the wartime picture of my dad and the conversations we had. Fortunately my dad’s pictures were located. 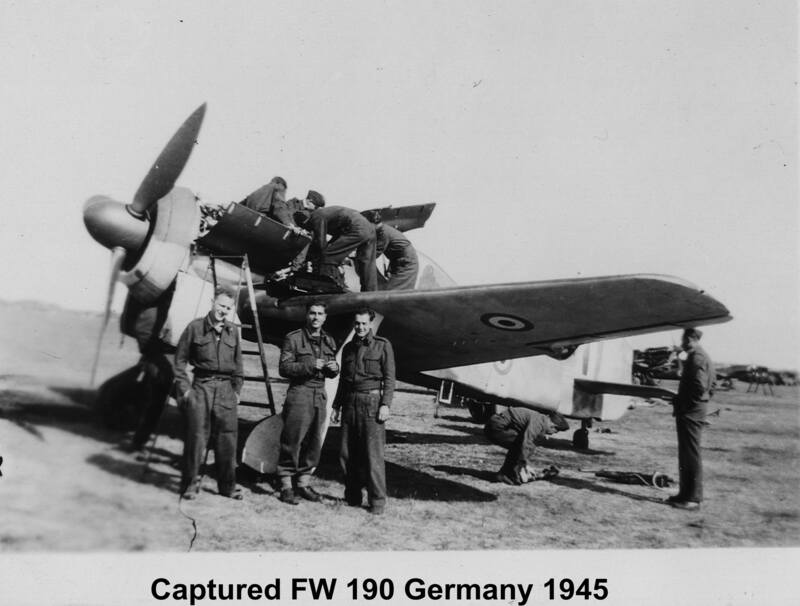 Here’s another one I’ll share from his collection of some of the Erks from 403 Squadron checking out a captured FW 190 in Germany 1945. Again, you may recognize some of the Erks from 403. Have a nice day mon ami. This was Mark White’s third contribution to this blog. It was published back in 2012. Mark White forgot this picture in his article. The captions are the original captions wrote by his father. Here are the other ones he sent me before. Does anyone know who’s in front, his hand over the right side mirror? Every Tuesday morning I will post once again Mark White’s articles. I will add after more information that came to light since they were published. This post is from Mark White’s pen. His dad was an erk with 403 Squadron. Here’s my first serious post – many more will likely be coming your way. Towards the end of the war, 403 Squadron operated out of 127 Airfield near Soldau Germany. This was known as Base 154 or B154. They remained there from April 26 until July 7, 1945. B 154 was an abandoned German airbase known as Reinsehlen. It was about 45 km from Hamburg. 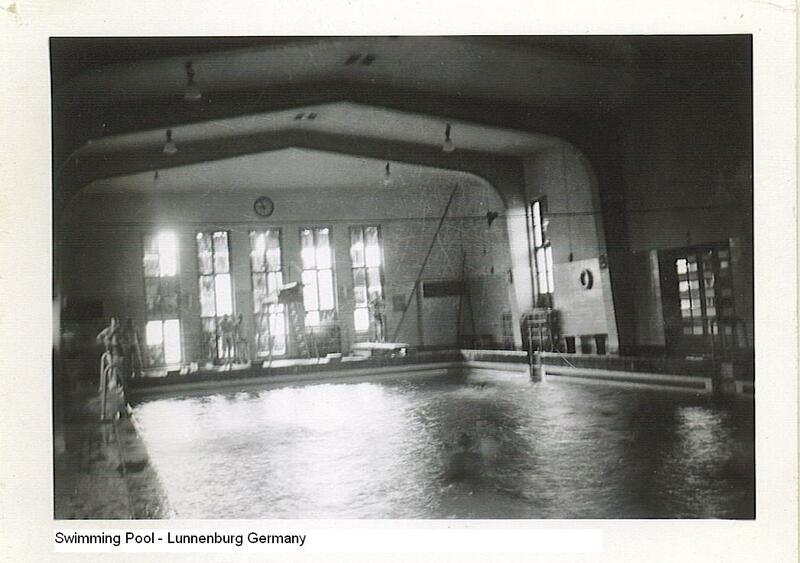 It was quite near the Concentration Camp at Bergen Belsen and the swimming pool at Lüneburg Germany. The Erks from 403 visited the concentration camp and the swimming pool. I’m posting some never before published pictures from my dad’s collection. You can identify some of the Erks in these pictures in the 403 Group picture. I showed a friend of mine, who is a serious military model maker, some of my dad’s photos. Steve had never seen a Maple Leaf painted inside a Roundel. 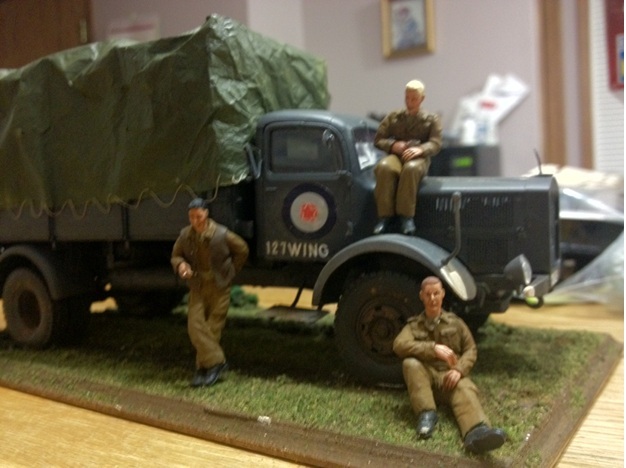 He built a model depicting this truck complete with three 403 Erks. The Erk with the cigarette wearing the leather Jerkin is my dad. 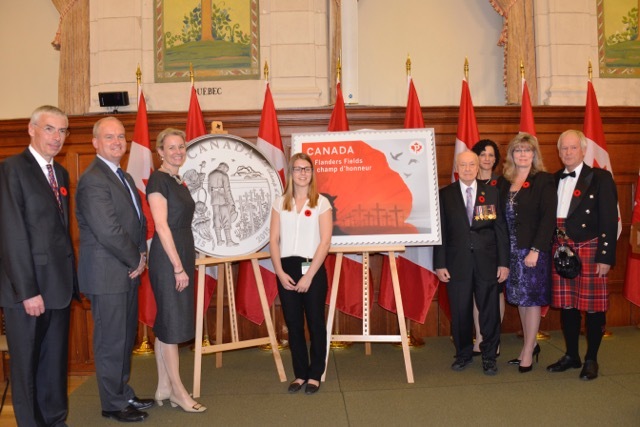 Steve won a gold medal at a recent model show in Calgary for his work depicting 403 squadron’s captured German truck at B154 in July of 1945. The medium 4.5T cargo truck Mercedes-Benz L4500S was originally developed for civilian use. 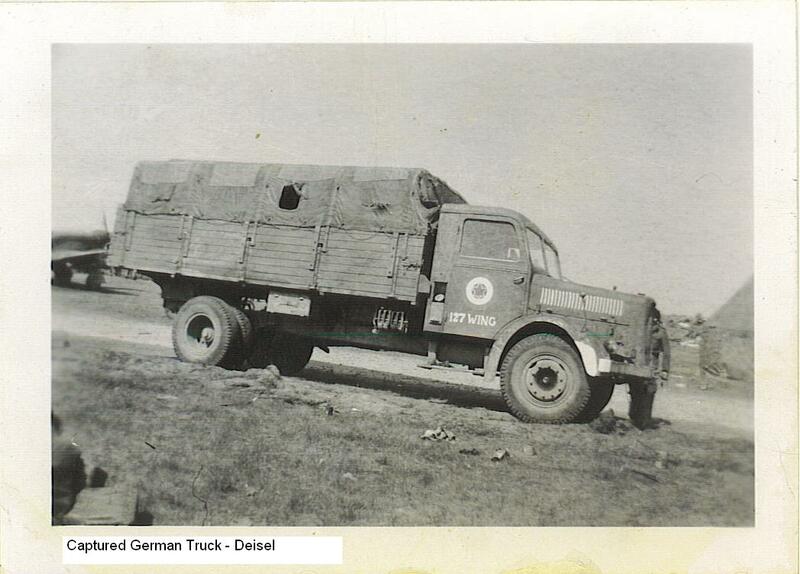 It was used in wide service with all German military units during World War II on both Western and Eastern fronts. A total of 9,500 trucks were manufactured from 1939-1944, most of them for the Wehrmacht. The L4500 had a 7.2 litre diesel engine with 112 HP and existed in 2 basic versions: 2-wheel drive “S” and 4-wheel drive “A”.